Peter's Yard is an award-winning company making Swedish-inspired crispbread in the UK. Made using traditional recipes and simple, natural ingredients, the authentic crispbreads are high in fibre, free from anything artificial and use Shipton Mill organic flours, organic fresh milk, honey and real sourdough that is allowed to ferment for 16 hours before each batch is made. The combination of their light, crisp texture and simple, high quality ingredients make them the perfect base for a wide variety of sweet and savoury toppings. 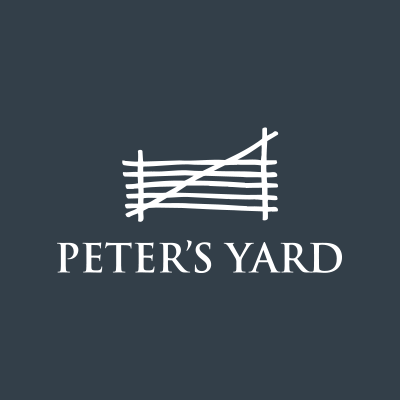 Peter's Yard is stocked in over 2,000 independent delis, cheesemongers and farm shops and is also available in Waitrose, Ocado, Sainsbury's, Booths and Whole Foods Market. The crispbreads are served in some of the best restaurants in the UK, including Le Manoir Aux Quat'Saisons, Restaurant Martin Wishart and The Waterside Inn. UK speciality retailers have named Peter's Yard as their Best Biscuit Brand for the past three years, in a survey compiled by the Guild of Fine Food Retailers. The Peter’s Yard Cookbook will be published in May 2020.